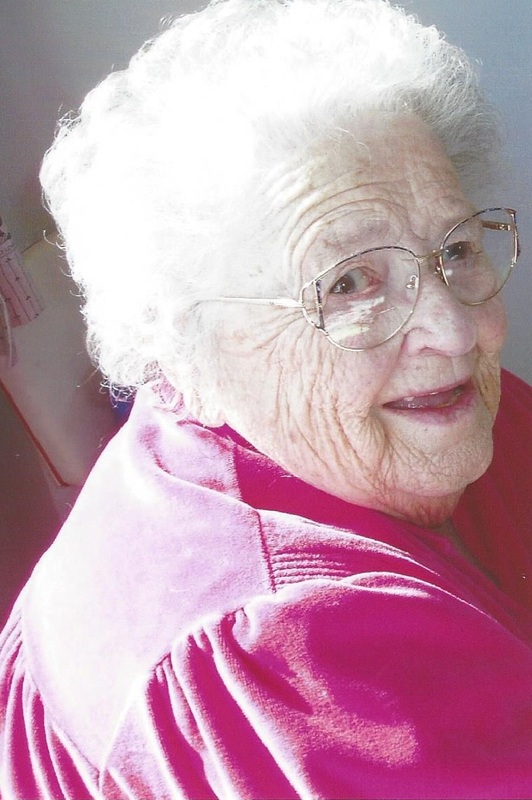 It is with sadness that we announce that Arlene Walker passed away peacefully on September 1, 2016 at the age of 96 years at Bethany Care Centre in Cochrane. She will be dearly missed by her daughter Sharon (Barry) Baldwin of Sundre and her son, Colin (Julie) Walker of Cremona; her grandchildren, Carrie (Bob) Bowlen of Sundre, Tracy (Brady) Westerson of Cremona, Robin (Chris) Clarke of Cochrane, Olivia Walker of Cremona, Heather Walker of Cremona, and Aprille Walker of Cremona; nine great-granchildren; her sisters, Margaret Scarrow of Leduc, and Sharon (Eldon) Evans of St. Albert; and many nieces and nephews. Arlene was predeceased by her husband George, her parents Sarah and Archie, as well as her sister Audrey Hurst and her husband Bob, and her brother in law, Jim Scarrow. Arlene was an accomplished highland dancer; she once danced for the Royal Family when they visited Canada. She was an equestrian jumper and later trained and showed American saddle bred horses. Arlene was fortunate enough to travel to Toronto with her father Archie Currie and friends, where they traveled by train with their horses to the 1948 Grey Cup, supporting the Calgary Stampeders, where they won. Arlene also loved and raised Scotch Collies. Arlene met and married George Walker of Calgary, AB where they lived for a few years, later moving to the family farm in the Cremona area, where they raised their two children Sharon and Colin. Arlene was a loving and caring woman who loved life and will be greatly missed by family and friends. A Celebration of Life will be held for Arlene at the Cremona Community Hall (302 Centre St, Cremona, AB ) on Saturday, September 10 at 1:00 pm. In lieu of flowers donations can be made to the Cochrane Humane Society (62 Griffin Industrial Point, Cochrane, AB T4C 0A3 www.cochranehumane.ca). Messages of condolence may be forwarded to the family at www.cochranecountryfuneralhome.com. We are saddened to hear of her passing. She will be greatly missed and was a wonderful person who was loved by all.